Cv3D is a small nurbs modelling program on the Windows platform. You can create points, lines, polylines, basic nurbs curves, interpolating nurbs curves, circles, and circular arcs. You can loft, revolve, extrude, and sweep nurbs objects to create nurbs curves, surfaces, volumes, etc. Insert additional light sources and assign material properties to objects. It is also possible to create polygons and polygon meshes. When edit points is on, you can directly insert new points into NURBS curves, by just clicking on the point on the curve where you want to insert the point. To create a line, click on the symbol on the right hand toolbar. Then position the mouse cursor in one of the orthogonal views, and click on the left mouse button to specify the start point. Move the mouse cursor to the end point, and click on the left mouse button. To create a polyline, click on the symbol on the right hand toolbar. Specify points by clicking the left mouse button in the views. The last point of the polyline is specified by clicking the right mouse button. To create a closed polyline, click on the symbol on the right hand toolbar. Specify points by clicking the left mouse button in the views, and end the closed polyline by clicking the right mouse button. 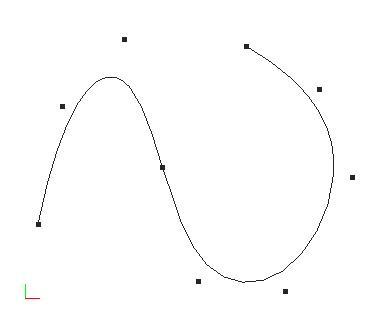 When making a nurbs curve, the control points of the curve are specifyed directly, and a uniform knot vector is made. To create a nurbs curve, click on the symbol on the right hand toolbar. Specify control points by clicking the left mouse button in the views, and end the curve by clicking the right mouse button. You can edit the order of the curve in the dialog on the left. To create a closed nurbs curve, click on the symbol on the right hand toolbar. Specify control points by clicking the left mouse button in the views, and end the curve by clicking the right mouse button. You can edit the order of the curve in the dialog on the left. 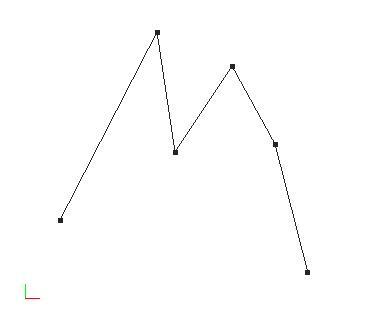 This curve interpolates the points specified by the user. To create an interpolating nurbs curve, click on the symbol on the right hand toolbar. Specify intersection points by clicking the left mouse button in the views, and end the curve by clicking the right mouse button. 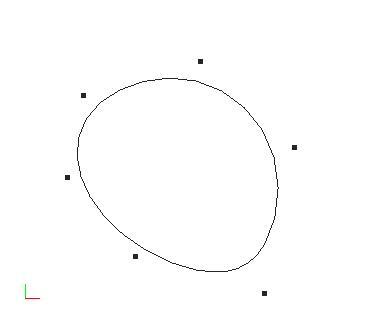 This curve interpolates the points specified by the user with curve closure. To create a closed interpolating nurbs curve, click on the symbol on the right hand toolbar. Specify intersection points by clicking the left mouse button in the views, and end the curve by clicking the right mouse button. To create a circle, click on the symbol on the right hand toolbar. Specify three points by clicking the left mouse button in the views. The first point is the centre of the circle. 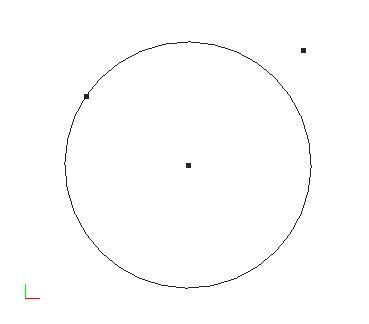 The radius of the circle is the distance between the first and second point. The orientation of the circle is determined by all three points. To create a circular arc, click on the symbol on the right hand toolbar. Specify three points by clicking the left mouse button in the views. The first point is the centre of the arc. 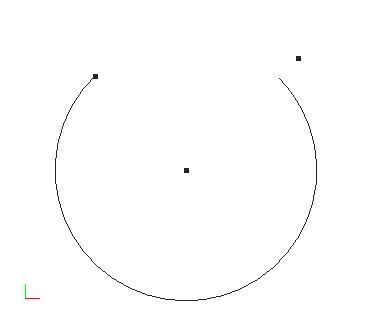 The radius of the arc is the distance between the first and second point. The orientation of the arc is determined by all three points. 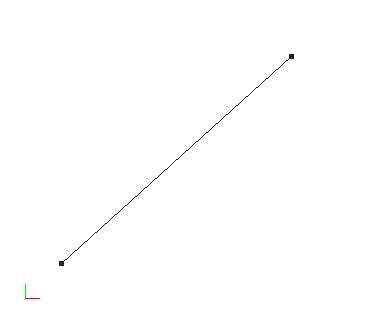 The angle of the arc is the angle between the vector from the first point to the second and the vector from the first point to the third. To create a lofted nurbs surface, your first need to specify a set of nurbs curves to be lofted. Next, select the curves you want to loft by clicking the left mouse button while pressing the CTRL key when the cursor is positioned over the curve in one of the views. A curve has been successfully selected when its color changes to red. Click on the symbol on the right hand toolbar to create the lofted surface. You can also loft points, surfaces, volumes, etc. 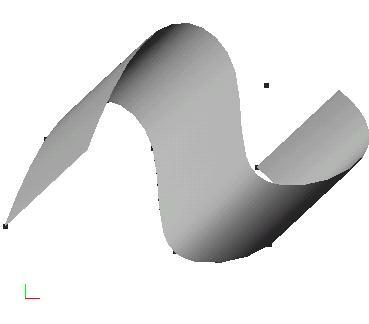 Interpolating lofted surface is much like the lofted nurbs surface previously described, except that the curves are interpolated by the generated surface. 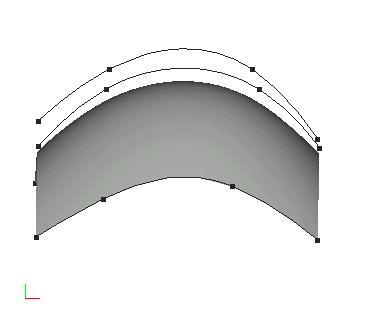 When the nurbs curves have been created and selected, click on the symbol on the right hand toolbar to create the lofted surface. 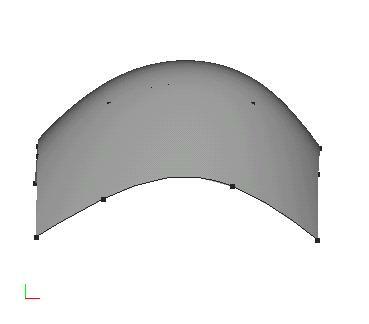 To create a revolved nurbs surface, you first need to specify a section curve and a line to revolve the section curve around. 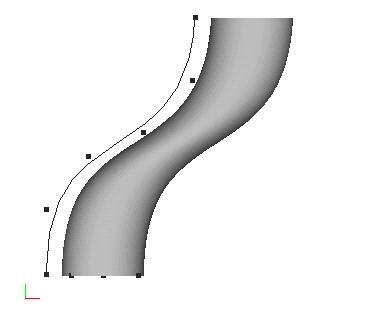 The section curve can be an arbitrary nurbs curve, but the line needs to be a nurbs line as previously described. Next, select the section curve and line by clicking the left mouse button on the curves. It's important that the section curve is selected before the line, and that no other objects are selected. Click on the symbol on the right hand toolbar to create the surface. You can also revolve points, surfaces, volumes, etc. 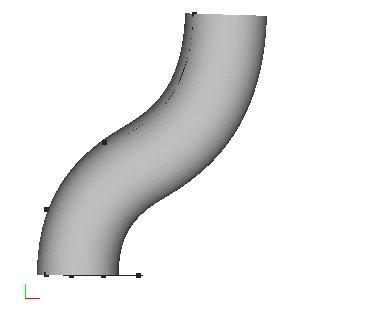 To create an extruded nurbs surface, you first need to specify a section curve and a point. The section curve is extruded along the vector from the origin to the point. The section curve can be an arbitrary nurbs curve, but the point needs to be created by the point symbol on the right hand toolbar. Next, select the section curve and the point by clicking on the left mouse button on the curve and the point. It's important that the section curve is selected before the point, and that no other objects are selected. Click on the symbol on the right hand toolbar to create the surface. To create a translational sweep nurbs surface, you first need to specify a section curve and a path curve. The section curve is swept along the path curve. 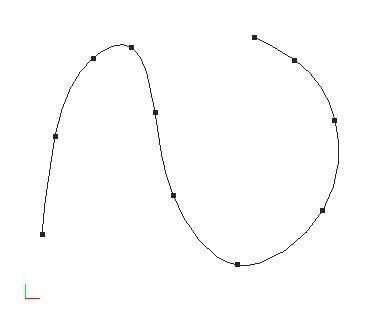 Both the section and path curve can be arbitrary nurbs curves. Next, select the section curve and path curve by clicking the left mouse button on the section curve and the path curve. It's important that the section curve is selected before the path curve, and that no other objects are selected. Click on the symbol on the right hand toolbar to create the surface. A rotational sweep nurbs surface is similar to the translational sweep surface previously described. 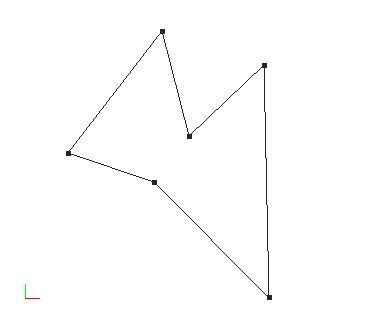 The difference is that the orientation of the section curve follows the tangent vector of the path curve in the rotational sweep. It is created in the same way as the translational sweep surface. When the section curve and path curve have been created and selected, click on the symbol on the right hand toolbar to create the surface. Objects can be moved, rotated, and scaled. To move an object, you can drag and drop it by positioning the mouse cursor over the object in one of the views, and pressing the left mouse button. Drag the object to its new position, and drop the object by releasing the mouse button. You can also move an object by first selecting it, and then clicking on the symbol on the right hand toolbar. Specify x,y,and z translation and click OK. Objects are selected by clicking the left mouse button while the mouse cursor is positioned over the object. You can rotate an object by first selecting it, and then clicking on the symbol on the right hand toolbar. Specify x,y,and z rotation angles, and click OK. The angle is specified in radians. You can scale an object by first selecting it, and then clicking on the symbol on the right hand toolbar. Specify x,y,and z scaling factors, and click OK.
Cv3D also has some polygon support. To create a polygon, click on the polygon symbol in the right hand toolbar. Specify polygon points by left clicking in one of the views, and add the last polygon point by clicking the right mouse button. A quad strip is a set of polygons, each defined by four points, where each polygon shares two vertices with it's neighbour. To create a quad strip, click on the symbol in the right hand toolbar. Specify quad strip points by left clicking in one of the views, and add the last point by clicking the right mouse button. A triangle fan is a set of triangles, where each triangle shares the first vertice, and a vertice from the previous triangle, making a fan of triangles. To create a triangle fan, click on the symbol in the right hand toolbar. Specify triangle points by left clicking in one of the views, and add the last point by clicking the right mouse button. A triangle strip is a set of triangles, where each triangle shares two vertices with the previous triangle. To create a triangle strip, click on the symbol in the right hand toolbar. Specify triangle points by left clicking in one of the views, and add the last point by clicking the right mouse button. The insert operation is used to insert a subobject into an existing object. 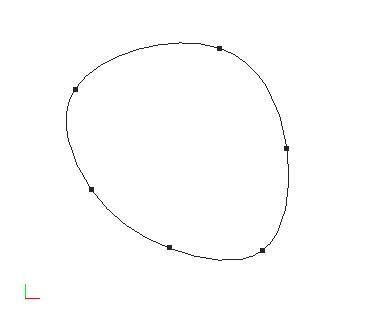 For instance, use this operation to insert a new point into an existing NURBS curve. 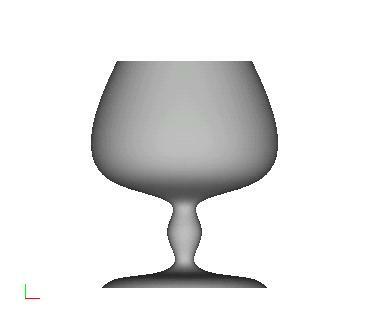 To insert, first select the NURBS curve to insert a point into, then select the point on the NURBS curve to insert the new point after, then select the new point. Click on the insert symbol on the right hand toolbar. To delete an object, first select an object by clicking on it in one of the views, then click on the delete symbol in the right hand toolbar. You will be asked to confirm before the object is deleted. Views can be translated and scaled. To translate one of the orthogonal views, first select the view by clicking in it. Then, click the symbol in the right hand toolbar. Specify the translation in each dimension in the translation dialog that is shown. To scale one of the orthogonal views, first select the view by clicking in it. Then, click the symbol in the right hand toolbar. Specify the scale factor in each dimension in the scaling dialog that is shown. Cv3D supports point light sources and spotlights. To create a point light source, click on the symbol on the right hand toolbar. Edit attributes of the light source in the left hand dialog view. To create a spotlight, click on the symbol on the right hand toolbar. Edit spotlight attributes in the left hand dialog view. To assign material properties to an object, first select the object in one of the orthogonal views, by left clicking on it, then click on the symbol on the toolbar on the right hand. You can then edit the material properties in the dialog view on the left. This operation is used to convert a NURBS object to the standard representation of control points and knot vector(s). First select the NURBS object to be converted, e.g. a curve or a surface, then click the Convert To Mesh symbol in the right hand toolbar. To insert a new knot into a NURBS object, select the NURBS object, then click on the Insert Knot symbol in the right hand toolbar. In the dialog that appears, specify the new knot value and in which parameter dimension it should be inserted.